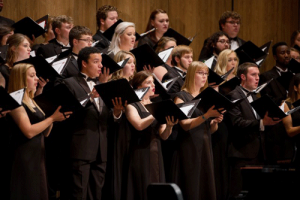 Choruses have a lot of expenses: travel costs, costumes, and music rights among other things. Chorus fundraisers are often necessary for choruses to be able to do the activities and go where they want for competitions. It’s hard to find an effective fundraiser that fits all your needs as well as having a desirable product. Giving Bean’s freshly roasted coffee, amazing artisan loose teas, and all natural gourmet cocoas are an easy sell. This is especially relevant, since most people use these products daily. There are no startup costs and no leftover products that didn’t sell. Easy startup, step by step instructions, and online support Giving Bean’s coffee fundraising program is perfect for chorus fundraisers. You will earn 40% of the profits from the paper fundraiser and 25% from any online sales. The online portion is a great way for friends and family that live far away to help support your group. Both large and small choruses have been very successful with Giving Bean’s coffee fundraiser. It is especially helpful if you assign each chorus member a certain number of products to sell. This way you can easily reach your fundraising goals. A great opportunity for fundraising is during a concert intermission. We offer a ‘Show and Sell’ which is a of a variety of our most popular items. This is the perfect way to boost sales while completing your fundraiser. We're been using GB for 2 years now, and it's by far been the best fundraiser experience I've had in a long time. Excellent customer service and great product selection. And no joke - the coffee is great! I've been a member of the coffee club for over a year now. Thanks GB for offering another practical (and delicious) alternative to candy bars, candles, and coupon books! I LOVE this company! Our large order arrived yesterday, a week earlier than I expected it. It was so well organized, it was a breeze for me to divide up, with one helper. The teas are absolutely delicious, better than anything I have had in high dollar shops. The coffee smells wonderful! I'll be back! This was my first time leading a fundraiser, and it has been a great experience. Excellent product, excellent customer service. Wow! Giving Bean was founded in 2006 from a desire for a fundraiser that required less coordination time AND had products that people actually need and love. Giving Bean has since been supporting groups of all types throughout the U.S. (over 10 years) with our fresh roasted specialty coffee, artisan teas and a unique blend of in-person and online sales. Copyright 2016 © Giving Bean.